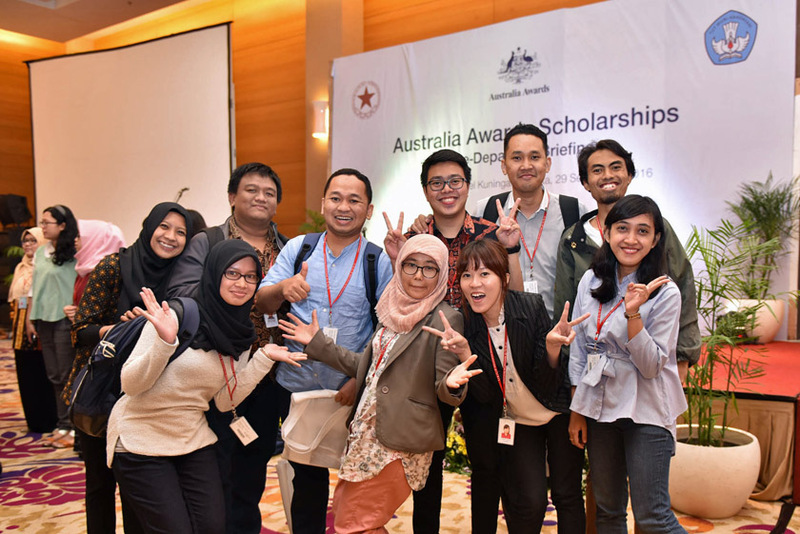 The Australia Awards in Indonesia program carries on a tradition of providing scholarships that have been offered by the Australian Government for more than 60 years. The objective of Australia Awards in Indonesia is to enhance Indonesia’s development through the contributions of internationally qualified professionals and a strong and positive relationship with Australia. Since 1953, more than 9,000 Indonesian scholarship recipients have studied at Australian tertiary institutions through long term and short term study, with many going on to take leadership positions and make a significant difference to Indonesia’s development. Australia Awards in Indonesia offers two types of scholarships: postgraduate courses (Long Term Awards) and intensive tailored short courses (Short Term Awards). The most able and promising candidates are given awards following a competitive selection process. Successful graduates will become part of the Australia Awards Global and Indonesia alumni network, a vast and actively supported community of influential alumni. Why apply for an Australia Awards in Indonesia scholarship?